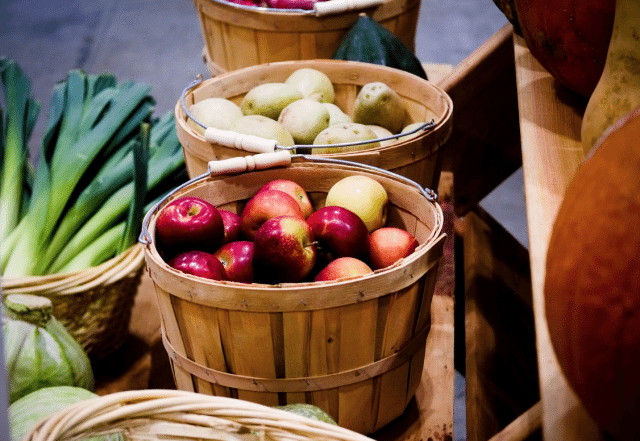 The cost of a nutritious food basket has increased 20 per cent since 2009. Every September since 1999, Toronto’s public health department reminds the city that this old smugness, and the reality it spoke to, have largely disappeared. The department issues a report identifying the cost of a frugal basket of nutritious food for a family of four, and assesses what that means for people on low incomes. This year’s report, which will be presented to the Board of Health on September 30, says the weekly cost of such a basket is $198.34, up 1.4 per cent from last year and up 20.1 per cent since 2009. According to provincial guidelines, the basket of nutritious food for a family of four must contain the lowest cost version of 67 recommended items and include no expensive meat cuts; no snacks, candies, convenience or prepared foods; no culturally-specific or religiously-mandated foods (kosher or halal, for example); no foods required by a special medical diet; and no treats or birthday cakes; albeit one container of peanut butter and one package of arrowroot cookies are permitted. Such a frugal basket is not affordable to members of one in every eight households in the city. To keep costs below $198.34, fruits and vegetables—cornerstones of a diet that prevents illness and disease, but also the foods that have risen most in price since 2009—are likely the first to be cut. In accepting the report, the Board of Health may ask the provincial government to increase minimum wages and social assistance rates to make such a basket affordable to all and to allow more ethno-cultural and pre-packaged foods in the basket. As has been the case in every year’s report since 1999, the “financial impact” item at the end of the submission specifies that “there are no direct implications associated with this report.” That tiny clause ensures the report will be adopted, but will go directly to the place where staff reports go to die. As a relic of the era of Toronto the Good, I must protest. A city that can afford close to a billion dollars to repair the Gardiner, so people who live and pay taxes outside Toronto can pollute the city’s air by driving to work downtown, should not be allowed to say that a report showing that at least one household in eight is vulnerable to illness and disease proceeds without one real action item. They want a low budget? How about launching a legal case (the City employs skilled lawyers) before the Ontario Human Rights Commission to insist that provincial guidelines respect ethno-cultural and religious food traditions? Or a communications campaign to let Queen’s Park see this as a problem as demanding of corrective action as electricity bills? While I’m at it, there are at least two other obsolete items in this report, both aspects of the Province’s narrow guidelines and definitions for the pricing survey. One is the definition of food security, based on the U.S. definition of food insecurity of the early 1990s, which is built around household food insecurity. “Food insecurity can be characterized as an inadequate or insecure access to food as a result of financial constraints,” the Toronto Public Health report says. That definition has been outmoded since 1996, when the United Nations specifically described food security to encompass all people at all times and moved to ensure both adequate and culturally acceptable foods in the definition of food access. The more up-to-date definition is used in the Toronto Food Charter, adopted unanimously by the city in 2001, but not referenced in the report. The provincial guidelines, in force since 1999—a time of peak neo-liberalism, for those who follow ideological trends within governments—follow the tradition of eschewing concepts of “people-centered approaches” to economic and social development and food issues. The idea of people-centered development was promoted in 1987 in a classic article by David Korten, a leading economic development specialist at the time, who went on to write the runaway bestseller When Corporations Rule the World. The basic idea was to turn discussion on social and economic development away from broad declarations about problems such as “end poverty and hunger” and develop a new dialogue around empowering and enabling people to solve the problems. In the case of hunger, this commonly led to calls to empower women, who suffered discrimination that kept them in poverty and vulnerable—along with their children and especially their daughters—to hunger. Not to put too fine a point on it, most of the people who experience food deprivation in Toronto face discrimination along racial and gender lines, as well as low incomes, and might benefit from a shift to people-centered approaches to reports. The people-centered approach enjoyed its day in the sun, gaining support from the Manila Declaration on sustainability of 1989, the United Nations Development Report of 1990, and the famous Earth Summit of 1992. The World Health Organization adopted a precocious version of this approach in 1986, in its Ottawa Charter for Health Promotion, which promoted enabling and empowering people. The WHO report was directly inspired by the work of Toronto Public Health. Internationally, the whole notion of people-centered approaches has since been displaced by Millennial- (2000) and Sustainable- (2015) style development goals, which issued declarations of objectives with no reference to who could be empowered and enabled to lead. Declarations without references to implementation are perfectly acceptable to ideologues of the Washington Consensus. The narrow guidelines and recommendations flowing from Toronto’s annual reports on the costs of a nutritious food basket date from the peak decade of the Washington Consensus. Maybe it’s time to change this ritual of fall. Wayne Roberts produces a weekly newsletter on food and cities.